Accent Shutter, a leader in custom American hardwood shutters, shades, window film, custom draperies and blinds offers the educated consumer the finest selection in quality, craftsmanship, and service. 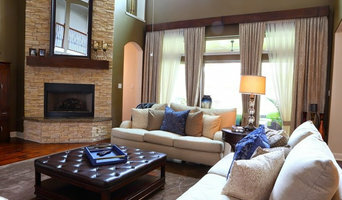 Accent Shutter & Shades supplies high-quality custom window treatments for all of Eastern Texas. Our vertically integrated products have superior craftsmanship and deliver stunning results. The experienced Accent Shutter, Inc. staff employs the highest standards to provide extraordinary window installations for homeowners and interior decorators. With more than 25 years of experience, our staff custom-makes our fine products and follows a quality control process, which guarantees that you are receiving a high performing and luxurious product. Houston Window Coverings offers custom window covering products for the Greater Houston and Montgomery County areas, such as Spring, The Woodlands, Conroe, and Willis. Our designers will help you find the perfect window covering solution for your window covering project. We deliver a custom product at affordable prices. Our window covering products are backed up by a lifetime guarantee and our customer service is one you can depend on. Whether you are looking for real wood blinds or just a faux wood blind, we have many paint & stain colors to choose from. Our popular Plantation Shutters are energy efficient and beautiful to look at everyday. 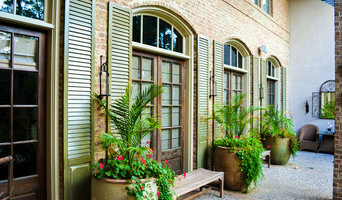 Shutters can be painted or stained in many different colors. Our energy efficient Duette Architella shades not only look great, but save you money on a daily basis. If you are looking to finish your room with a custom drapery touch, our designers can help you with fabric, hardware and design selections. We also offer stunning woven wood shades for any natural look you may want to incorporate in your home or office. For a more contemporary look, roller shades, verticals and/or panel track systems may be a better fit for your environment. Installation services – Our Master Installer is here to install all of yours shades. If you have your own shades, we can also offer installation services for you. Designers Curtains offers a complete measuring, design and fitting service. So we’ll visit you in your home, at a time that suits you, with a large range of designer swatches and samples. We’ll discuss other options such as lining, cushions and throws. 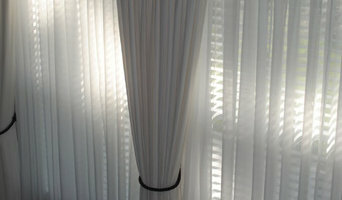 When your curtains and blinds have been made we will provide professional installation. Window Magic Blinds & Draperies, Inc. 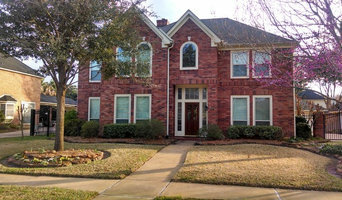 Window Magic has been serving the Houston, Texas area since 1981. We are a locally owned and operated window treatment company who specializes in whole house solutions. We can help you create the window treatment solution for your home both inside and out. Our professional team can help you design your window treatments. We measure and install your window treatments for a perfect fit. We offer exquisite window treatments from the leading manufacturers. We are here now, and we’ll be here in the future when you need us again. Stop by our showroom or call today. We look forward to serving you. Since its establishment in 1999, Sun-Safe Window Treatments has been committed to providing customers with exceptional quality, style and value backed by outstanding customer service. Gary Gross and family started with what they knew best, window tint and solar screens. Sun-Safe has continued to expand its product offerings, services and design team to meet the growing needs of today’s consumer. JC's Window Treatments has been in the window covering business since 1997. We offer excellent customer service as a local Houston shutter company, and can install a variety of window treatments for your home or business, including polycore and wood plantation shutters, window blinds, shades, and solar screens. You can trust our team at Bloomin’ Blinds in North Houston for high quality blind products, repairs, and installations! 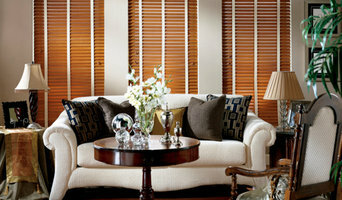 We’re the area’s preferred choice for blinds, shutters, and shades. Whether you are looking to buy or in need of repairs, our mobile service is the one to call—we’ll bring the shopping and service to you! Four Reasons to Choose Bloomin’ Blinds Here’s why we’re the team to call: We look out for your best interest. Every blind can be repaired, and fixing your current blinds costs much less than replacing them! Why throw out what you already have? We’ll fix it! We make it easy. Bloomin’ Blinds is a mobile service. Whether you want to purchase new blinds, shutters, or shades or you need to schedule repairs, we’ll come to you! No hassle, no stress. We prioritize the customer experience. Our business is family owned and family operated. We put a high value on customer service and do everything we can to make our clients happy! We live up to our reputation. Bloomin’ Blinds in North Houston has been rated “Elite Service Professional” on HomeAdvisor, and is the recipient of the prestigious Angie’s List “Super Service Award.” We know what we’re doing. We have more than 25 years of experience! Our services are excellent, professional, and reliable. We sell products that are high quality, time tested, and attached with lifetime warranties. Reasonably priced replacement windows energy efficient remodeling projects brand new double pane window replacement single, or double hung beautiful picture Window sales Installation stop costly old window repairs Recommending only the very best affordable custom quality energy efficient replaced windows glass coated with Low-E saving our customer's $$ in energy savings Quality double pane new home windows reduce massive energy loss from damaging dangerous UV/inferred sunlight no need for costly triple pane windows Our medium priced window replacement installed by replacement and expert window contractors. Will install our double pane replacement windows, our company rates super high "A" ratings BBB & "A" ratings Angie's List. We rank very high because our homeowners receive lifetime warranties and an unheard of 20 years of labor warranty. Find that with a Home Depot Window, Lowes Window, Anderson Window or Pella Windows it's never going to happen. Hurricane replacement windows custom manufactured by Showcase & Earth Wise Design pressure ratings for windows & doors are codes values based on wind speed we're a contractor that follows all state, local & federal hurricane codes and Laws. We open and close all jobs building permits for your family's safety and to protect our reputation. TDI Hurricane Wind Zones Galveston County, Pearland, Friendswood, Manville, Poor quality non-Impact glass double pane windows or non-Impact glass vinyl doors failures can severely increase the risks of roof failures and roof loss.